Hello! 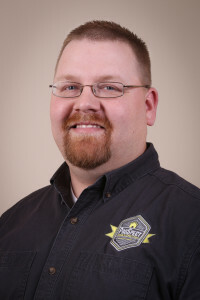 My name is Tyler McAbee and I am the Owner/Inspector for ProSpect Home Inspections. I reside in Portland Indiana with my beautiful wife and children. I would be honored to assist you with your home inspection needs. I understand that buying a new home can be a stressful undertaking. My goal during the home inspection process is to provide a stress-free and friendly experience. I pride myself in providing a thorough home inspection and an easy to read report. Please feel free to call me anytime with your home inspection questions. ProSpect Home Inspections provides services throughout Jay, Delaware, Randolph, Madison, Henry, Adams, Wells, and Blackford counties. I appreciate your timeliness, professionalism and rapid thourough report. You exceeded my expectations compared to the last time I purchased a home and used a different company. Thank you, Tyler! Always, always, always get a home inspection when buying a home. Tyler uncovered non-disclosed items totaling over $12,000 that we could not see walking the property. We were able to utilize his report for a mutual release and refund of our earnest money. Tyler is thorough, prompt, professional, and takes the time to explain his findings with unending patience. We highly recommend Tyler and have been sharing our experience with everyone. You did an amazing job for my clients! Very professional, thorough and most importantly, very patient with everyone. I’ll certainly use your services again if I am in your area. Thanks again! Tyler did an amazing job with our home inspection. He was very professional and had a through report to us a lot faster than what we thought. Also, he was very through and found several items that we would not have seen or noticed just by walking around the property. He was very patient and explained what we were dealing with and what needed to be done to make the home safe. Because of this and the seller not wanting to fix things properly we were able to get out of the deal and get our earnest money back. Thanks Tyler We will definitely be using you again and will recommend you to others. Thank you for the thorough home inspection you did for us. We liked how you spoke on our level and offered suggestions based on the house we were buying. 5 Stars!!! Jay County Indiana, Delaware County Indiana, Randolph County Indiana, Wells County Indiana, Adams County Indiana, Blackford County Indiana, Henry County Indiana, Madison County Indiana, Allen County Indiana, Huntington County Indiana. Muncie, Albany, Selma, Yorktown, Daleville, Gaston, Eaton, Portland, Redkey, Dunkirk, Pennville, Bryant, Salamonia, Winchester, Lynn, Union City, Farmland, Parker City, Bluffton, Ossian, Decatur, Berne, Geneva, Hartford City, Montpelier, New Castle, Anderson, Huntington, Fort Wayne.